The Depository Trust and Clearing Corporation (DTCC) has advanced to the testing phase of its project to re-platform its credit derivatives Trade Information Warehouse (TIW) on distributed ledger technology (DLT) and the cloud. The DTCC says that 15 of the world’s largest global banks will help it conduct end-to-end, structured user acceptance tests, leveraging simulated use cases and test data and validating the interaction between systems, firms and other key market infrastructure providers, including MarkitSERV and its new platform for credit, TradeServ. If successfully completed, DTCC expects to move to an “open” testing phase by the end of the year, when other market participants and service providers will have the opportunity to test it. Testing is anticipated to be completed in the first quarter of 2019 with the go-live scheduled thereafter. Since selecting the consortium of IBM, Axoni, and R3, DTCC and its partners have completely recoded the functionality of the TIW, utilising DLT and the cloud in 18 months. IBM is leading the initiative by providing program management, DLT expertise, and integration services. Axoni provides the distributed ledger infrastructure and smart contract applications built on the AxCore blockchain protocol, with R3 acting as a solution advisor. The TIW serves as the golden record for bilateral credit derivatives, performing lifecycle events, payment calculations and settlement through CLS. Additionally, it includes cleared derivative positions from ICE, the Japan Securities Clearing Corporation (JSCC) and LCH SA’s CDSClear, providing market transparency through its public reporting across both cleared and uncleared transactions. 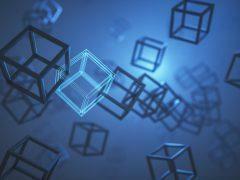 DTCC says that the standardised nature of the process flows and data models made credit derivatives an ideal test case for distributed ledger technology. It says that, when bolstered by common data standards and governance, a DLT-based TIW service will enable the industry to process and report to regulators from the same data record.